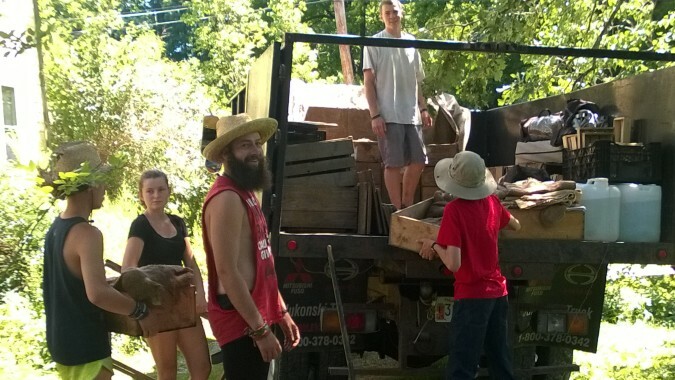 Thru-hikers help load the truck for the farmers’ market. The Appalachian Trail passes through the Berkshires within a few miles of the farm. Moon In The Pond is about two thirds of the distance from Springer Mountain, in Georgia, the southern beginning of this 2200 mile hiking trail, to Mount Katahdin in Maine, the AT’s northern terminus. Since 2006 MITP has hosted Appalachian Trail “through hikers”, “flip-floppers” and “section hikers” for short stays (1-2 days to 2-3 weeks) in the warmer months (April-November). AT hikers, who come from all over the U.S. and abroad, committed to hikes of hundreds, or thousands of miles, appreciate the MITP oasis on their hike. Welcome at the farm, they pitch their tents, hang their hammocks or use our open shelter. They’re nourished and restored by our all organic produce and immediately get an intense, quick immersion into farm life and issues. But they also must participate. Hikers work a full 8 hours-plus in exchange for camping, facilities and three home cooked farm meals. 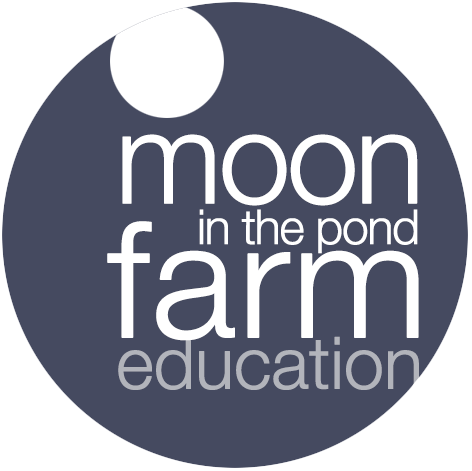 They are hosted, instructed, guided and fed by Moon In The Pond Farm staff and by New Farmer Full-Year Apprentices. Through their work period, they both learn about sustainable agriculture and through their labor help support the farm’s work. AT hikers interested in stopping at the farm are asked to contact us in advance through our WWOOF listing and by email to plan their visit. At least several days’ notice is requested. Also see our listing each year in “AWOL”, The A.T. Guide by David “Awol” Miller.